Myntra, the fashion and lifestyle e-tailing arm of e-commerce major Flipkart, has bought a Bengaluru-based wearable tech startup for an undisclosed amount. Myntra said in a statement that as part of the acquisition of Witworks Consumer Technologies Pvt. Ltd, it had absorbed the startup's team into its Innovation Labs initiative, which explores product ideas. “This acquisition will help us to solidify our position in this segment and enable us to develop and launch cutting-edge wearable products like smart shoes, connected smart watches and interactive/intelligent clothing with biosensors,” said Myntra's chief technology officer Jeyandran Venugopal. A consumer Internet of Things (IoT) company, Witworks was founded in 2014 by Indian Institute of Technology-Kharagpur alumni Somnath Meher, Ankit DP and Chandrashekhar Iyer. It also produces underlying software for wearable devices and its flagship product, Blink Watch, was launched in 2016. The wrist wearable runs on Witworks' voice-based platform called Marvin OS, which integrates native and third-party services. Witworks also has a range of audio and fitness wearable devices under the same brand. To develop and launch Blink, the firm had in 2016 raised an undisclosed amount from Fireside Ventures, Investopad, P39 Capital and a syndicated group of angels. Others who had participated in that round included Shaadi.com founder Anupam Mittal and individuals who were top executives at Foodpanda, OYO and ITC. The acquisition of Witworks comes months after VCCircle had reported that Myntra was likely to acquire a stake in Mumbai-based women-focused online fashion platform 20Dresses.com. The deal, likely signed in the middle of 2017, has been structured as a performance-linked equity investment, where Myntra’s investment into 20Dresses will be tied to the company’s net sales on both Myntra and sister concern Jabong on a year-on-year basis. Myntra CEO Ananth Narayanan had reiterated last year that the e-tailer will consider strategic investments as part of its overall growth strategy. 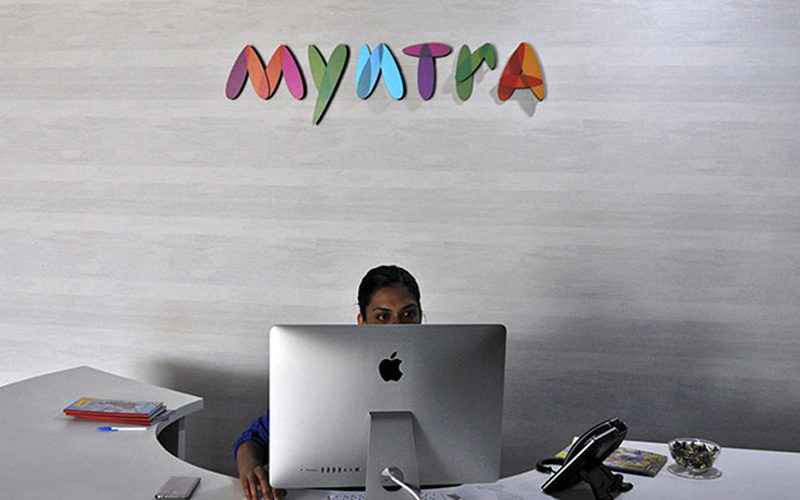 Myntra had previously acquired several technology companies. In April last year, the company had acqui-hired logistics startup InLogg to help solve delivery inefficiencies in terms of cost and reach. It acqui-hired Cubeit, a Bangalore-based tech startup in 2016 and Native5, another Bangalore-based mobile App development firm, in 2015. Previously, in 2013, it acquired Fitiquette, a San Francisco-based technology startup.